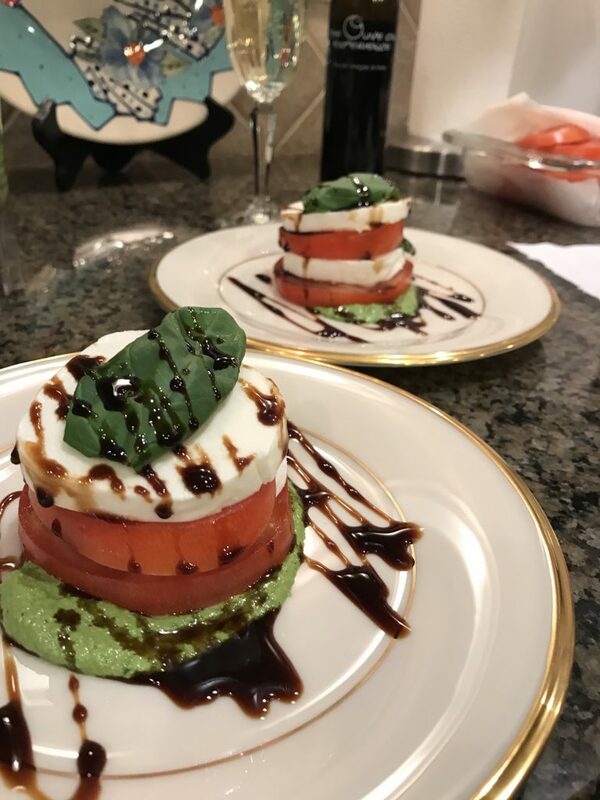 Caprese Salad is an easy to make, fresh and delicious starter to any meal. This simple Italian dish usually consists of sliced mozzarella, tomatoes and whole basil leaves – seasoned with salt. The problem I find with the simplicity is that I don’t get enough basil flavor and sometimes find the dish a bit bland. Decided to make a walnut basil pesto to compliment this dish and topped it with a drizzle of an aged high-quality balsamic vinegar. If you don’t have an aged vinegar you can make a balsamic reduction. The amount of tomatoes & mozzarella you need will depend on how many people you’re serving, I usually reserve a 1 whole medium (to small) tomato per person along with 2 slices of mozzarella. The Walnut Basil Pesto recipe follows and made enough to make 10 – 14 salads. To Plate the salad: Add the basil pesto on the bottom of the plate, top with 2 layers of tomato, cheese & whole basil leaves. Drizzle with balsamic vinegar & serve. 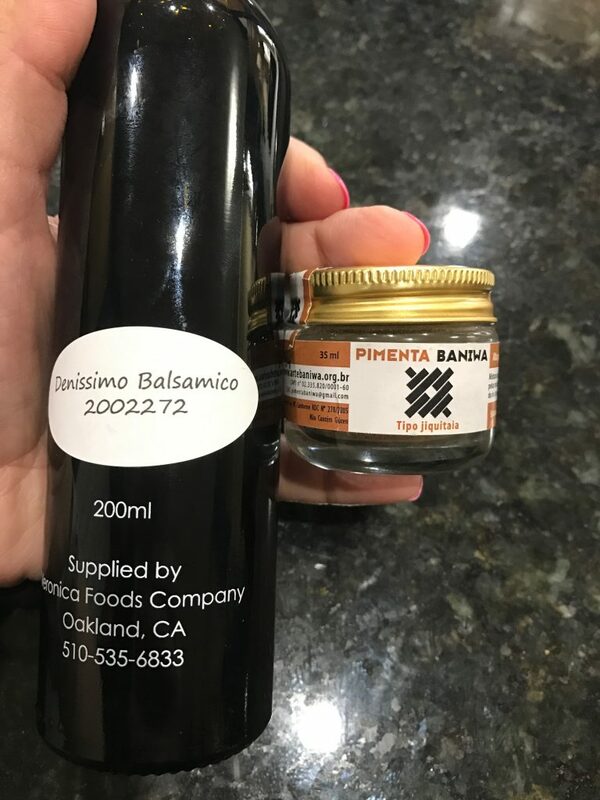 Products I used: Balsamic Vinegar is from The Olive Oil Experience and the Hot pepper blend is from the Brazilian amazon. Unfortunately, I haven’t found the pepper it in the states, I bought it in Brazil during one of my travels.